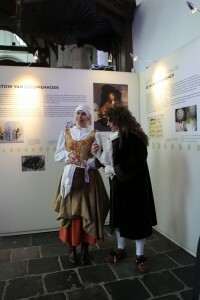 The exhibition in the Old Church was opened this morning. 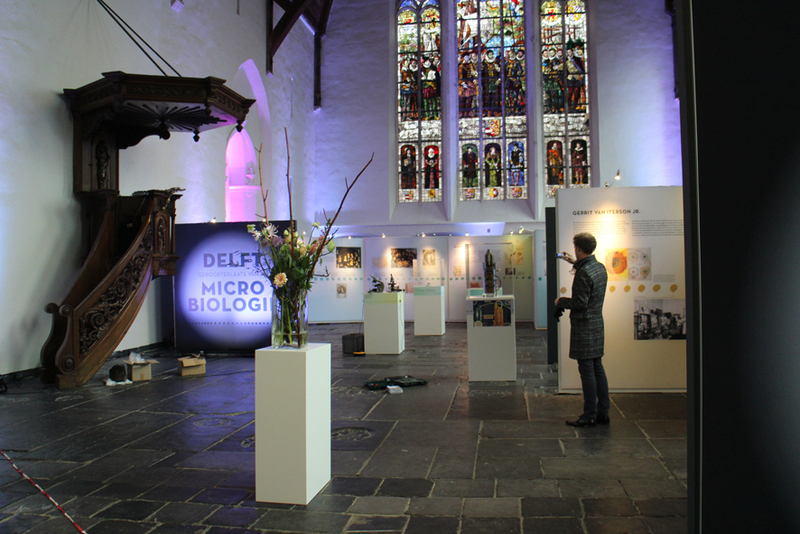 It’s a wonderful setting, so close to Van Leeuwenhoek’s grave (where the pinkish light is beyond the pulpit), although the Church dwarfs everything. When most of the guests had left, we had a surprise guest! Yes. It’s open whenever the Oude Kerk is open – Monday – Saturday 10:00-17:00 in Feb & March. 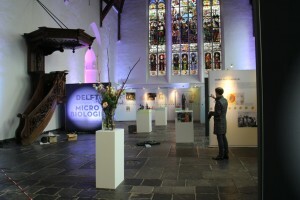 Question – is the exhibition open on Saturdays?